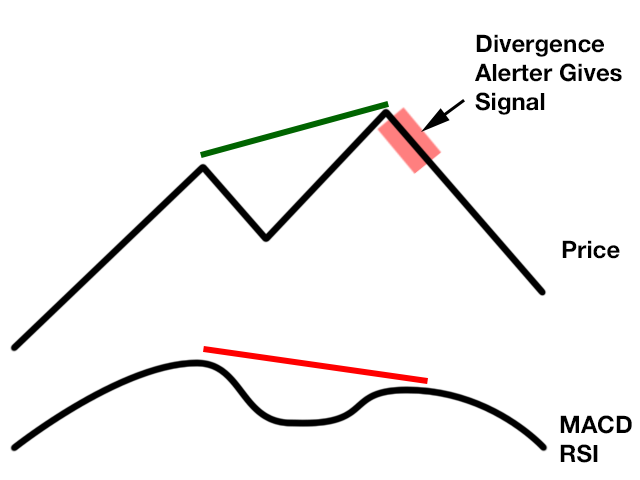 This indicator is designed to detect the best divergences between price/MACD and price/RSI. MACD and RSI produce by far the best divergence signals therefore this indicator focus on those two divergences. 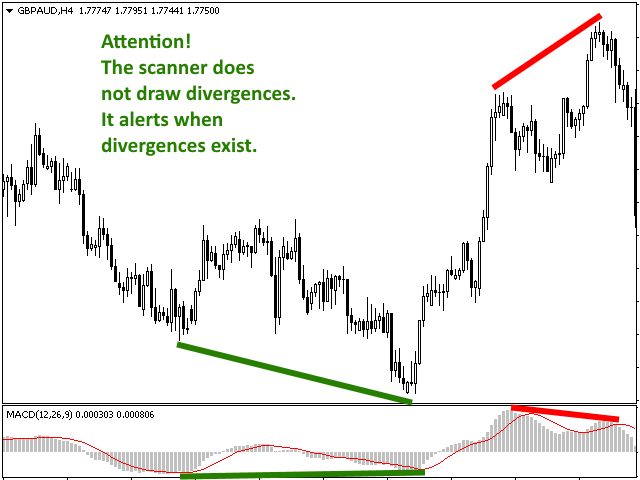 This indicator scans for you up to 15 instruments and up to 21 timeframes for bullish and bearish divergences. You need to add the indicator only to one single chart! 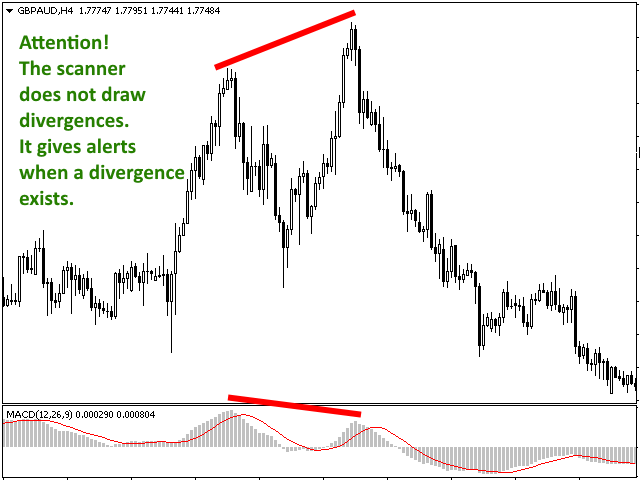 The indicator will then automatically scan all configured instruments and timeframes. 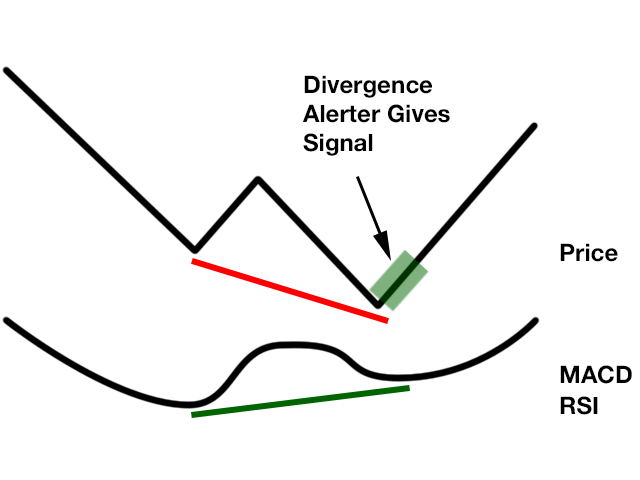 The indicator checks both divergences at the same time (MACD / RSI) unless you deactivate one of the divergence checks.